Most American roads — even the most highly trafficked — are financial losers. That’s a major finding from a new study by the Center for American Progress [PDF]. Four out of 10 American highways don’t generate enough revenue to pay for maintenance. A financial analysis by the think tank found that about four out of 10 U.S. highways don’t carry enough traffic to generate sufficient revenue to pay for their maintenance — let alone construction. That just six in 10 highways passed such a low test should be a wake-up call, CAP authors say. For one, the cost analysis did not include initial construction costs or inflation. Including a modest annual 1 percent inflation adjustment on the cost of construction would have increased the share of roads that failed to cover costs by 9 percent. CAP’s study only examined national highways, which host far more traffic than the average road. Roads on the National Highway System represent only about 5 percent of America’s total road network, but carry 55 percent of all vehicle traffic. Meaning the financial returns on local roads, which generate fewer trips and less fuel use than highways, are much worse. The study should help dispel the false notion that roads pay for themselves, write authors Kevin Degood and Andrew Schwartz. It should also inspire us to rethink the way we disperse funding for roads versus transit, they say. (At the federal level, the split is about 80-20.) In most cases, the argument that roads are self-sustaining is a myth. This letter is addressed to Southern California Associations of Governments (SCAG). Concerns are raised regarding inclusion of SR-710 North Extension Tunnel in the Regional Transportation Plan (RTP). How can it be part of the Plan if it has not been selected as an Alternative? The RTP report actually reveals the importance of our continued insistence that it is NOT a gap. The 710 does not exist north of Valley Boulevard. What was built in Pasadena is just the 210/134 interchange (by virtue of a court-ordered exception to the 1973 injunction). The two page letter from Pasadena Mayor Bogaard is addressed to Metro Board Chairman Eric Garcetti and copied to Metro CEO Phil Washington, CalTrans Director Malcom Dougherty and CalTrans District 7 Garrett Damrath and addresses the SR-710 North Draft EIR/EIS. 1. Pasadena City Council approved a motion to oppose the highway tunnel alternative as documented in the SR-710 North Draft EIR. 2 Pasadena City Council approved the recommendation of the Pasadena Working Group (PWG) and offered the PWG recommendation as the locally Preferred Alternative for the SR-710 North Study. 3. A request was made for the Cost Benefit Analysis and a restart of 120 days public review period when the Cost Benefit Analysis surfaces. Also included with the letter is the 19 page Pasadena Working Group preferred alternative. the proposed alternatives and their implications to area. 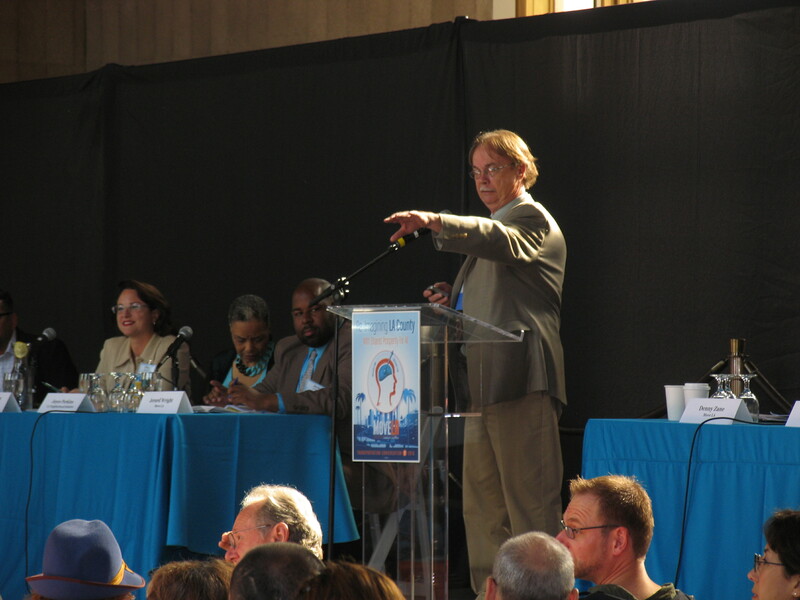 Denny Zane speaks on Measure R2 at last week’s Move L.A. Conference. There is a lot of discussion these days about a potential ballot measure for a new sales tax to fund transportation projects and programs for Los Angeles County. 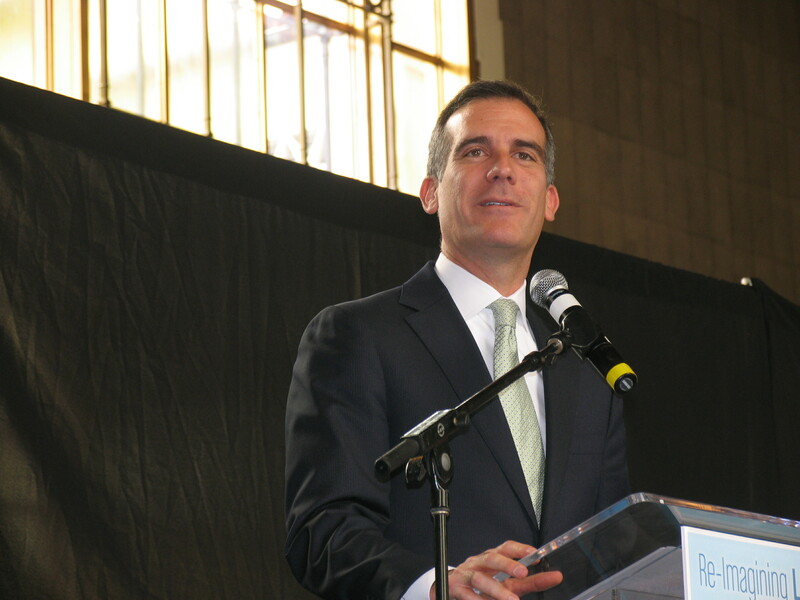 The non-profit Move L.A. has dubbed the future tax “Measure R2,” after the successful 2008 Measure R half-cent sales tax. Move L.A. first offered their “straw man” proposal on how to spend the money one year ago. 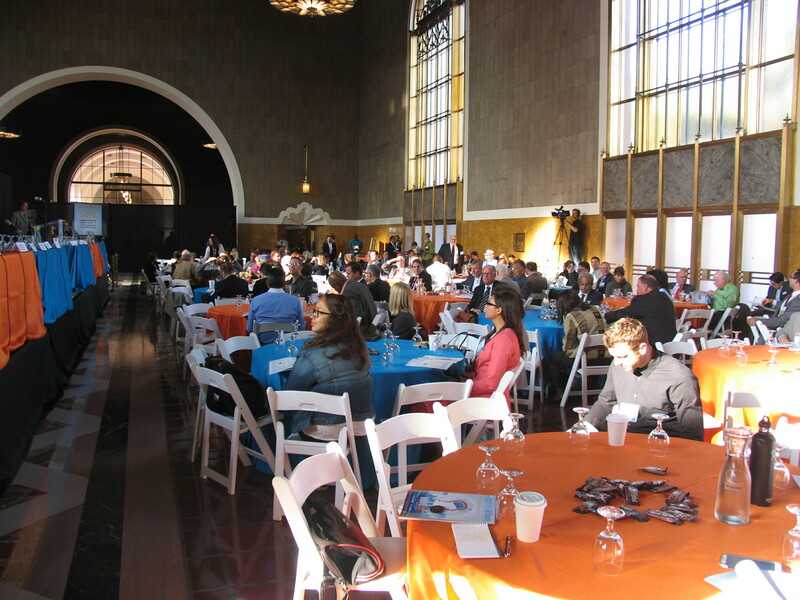 More recently, they hosted forums in South L.A., the San Fernando Valley, and downtown L.A. to discuss potential future transportation funds and projects. The ballot measure will not go before voters until next year’s presidential election in November, 2016. Coinciding with the presidential election likely means a higher voter turnout, which gives the tax a better chance of meeting the “super majority” two-thirds threshold it will need to pass. Even in a presidential election, however, the two-thirds needed will be difficult to achieve. For example, see Measure J, which, despite receiving a strong 64+ percent approval, still fell short of passing in 2012 by a narrow margin. Even though the election will not take place until 2016, there is a lot happening right now to shape Measure R2. Metro compiled what are called “Mobility Matrices” [PDF] which are basically a massive laundry list of 2,300+ projects and programs. Just like Measure R, the matrices projects are not all trains, buses, and active transportation which Streetsblog readers tend to favor, but lots of freeways, road widening, goods movement, road widening, and more road-widening. The list totals about $300 billion (where a Measure R2 might optimistically be projected to raise $90 billion) and will be analyzed and subsequently winnowed down to produce a proposed expenditure plan. The winnowing is, of course, a political process — the final project list needs to be geographically balanced enough to draw votes from all parts of the county. One way to test that voter appeal is polling, which is currently underway at Metro, but has not been made public yet. After the polling and horse-trading have shaped the expenditure plan, Metro staff will release a draft version, anticipated in June. The draft expenditure plan will be further shaped in committee, and approved by the Metro Board in late July. From there, more polling and more politics will likely follow, with a final Metro board vote anticipated in June 2016. There are lots of competing needs – maintenance and operations vs. shiny new projects, bus vs. rail, rail vs. Bus Rapid Transit (BRT), and whether any of the funding will be specifically designated for walking or bicycling. Measure R + Measure J totaled exactly zero percent set aside for active transportation, though some cities, notably Los Angeles, have used Measure R local return funding for bike and pedestrian projects. It also remains to be seen how Metro Board Chair and L.A. Mayor Eric Garcetti and incoming Metro CEO Phil Washington will make their marks on the process underway. Streetsblog will continue follow and report on Measure R2, including on the community groups campaigning to ensure that any measure achieves desired outcomes. Below is Metro’s most recent “Potential Ballot Measure Schedule” from page 7 of this staff report handout [PDF]. Gov. Jerry Brown, touting what he called a “high bar” on climate change, on Wednesday issued an ambitious new greenhouse gas reduction target for the state. The target, contained in an executive order and expected to be folded into pending legislation, seeks to reduce emissions in California 40 percent below 1990 levels by 2030. The goal is in line with one adopted by the European Union last year, and proponents characterized it as the most aggressive in North America. “With this order, California sets a very high bar for itself and other states and nations, but it’s one that must be reached – for this generation and generations to come,” Brown said in a prepared statement. Republicans and business representatives, however, cautioned that the regulations required to meet such a goal could raise the cost of doing business and hurt low- and middle-income energy consumers. Brown has said California will meet or exceed its previous goal of reducing emissions to 1990 levels by 2020, and he offered Wednesday’s goal as an interim step to reducing emissions to 80 percent of 1990 levels by 2050. State Sen. Fran Pavley, D-Agoura Hills, previously introduced legislation to reduce greenhouse gas emissions to 80 percent below 1990 levels by 2050. She said Wednesday she will incorporate Brown’s interim target into her bill. Brown’s order requires the state to consider climate change impacts in California’s five-year infrastructure plan and to assess how climate change will affect California infrastructure and industry. It also requires state agencies to factor climate change into planning and investment decisions. The issuance of a more ambitious carbon reduction goal has been expected since September, when Brown said the state would meet its existing goal and that he would announce a new one within six months. A longtime champion of environmental causes, Brown has argued that California’s policies – and climate-change agreements forged between this state and other sub-national governments – could help pressure heads of state as they prepare to negotiate a climate change treaty in Paris later this year. “I believe that from the bottom up we can make real impact, and we need to join together,” Brown said last year. Christiana Figueres, the Costa Rican diplomat and executive secretary of the United Nations Framework Convention on Climate Change, said in a prepared statement that Brown and California “have clearly understood, internalized and articulated the science of climate change” and have “aligned the state to the growing global understanding” of its challenges. Environmentalists lauded the target. But their praise of Brown – as on other matters in recent years – was tempered by criticism of his permissiveness of hydraulic fracturing, a controversial form of oil extraction. Brown proposed dramatically expanding California’s greenhouse gas reduction laws in his State of the State address in January, and Senate President Pro Tem Kevin de León announced legislation the following month to enact much of the governor’s proposal. The legislation would cut petroleum use in half by 2030 and expand, from one-third to one-half, the proportion of electricity that California derives from renewable sources such as wind and solar. De León said Wednesday that Brown’s target shows that California “leads the entire country” on greenhouse gas reduction efforts. Many conservatives believe the effects of global warming are overstated, and they object to the cost of environmental regulations. “At what point does being on the leading edge of climate change and environmental reform impact our ability to create or sustain jobs?” Huff said. Rob Lapsley, president of the California Business Roundtable, said the 40 percent goal may be achievable, but he worries regulations designed to achieve it could dramatically increase business costs. Brown’s office announced the target as the Democratic governor traveled to the Los Angeles area to speak on climate change, first at a conference on climate policy and carbon markets in Los Angeles, then at a Milken Institute conference in Beverly Hills. At the Milken Institute, Brown criticized Republicans in Washington who are skeptical of climate change. We had a major legislative victory Monday night for West Pasadena, the City of Pasadena and the entire region. My resolution to oppose the 710 tunnel was approved by the Pasadena City Council! I am deeply grateful to my colleagues Vice Mayor Jacque Robinson, Mayor Bill Bogaard and Councilmembers Victor Gordo and Gene Masuda for standing with me to reject this clear and present danger to our quality of life. Terry Tornek, John Kennedy and Margaret McAustin voted against my resolution, which was disappointing but not surprising. Had their views carried the day, Pasadena would have taken no position on the tunnel, and many would have argued that Pasadenans were divided on the issue, or even worse supportive of the tunnel. That will not happen now. Thankfully, that crisis was averted in a victory of leadership. Los Angeles County Supervisor Hilda Solis danced cautiously around some controversial topics when she spoke to a downtown crowd of political insiders and power brokers Wednesday. She was the speaker at the Los Angeles Current Affairs Forum luncheon, run by public affairs consultant Emma Schafer, who also compiles the political blog Emma’s Memos. Lawyers, transportation business executives and engineering firm representative were in the audience at The Palm. Solis is a good person for them to know. Most have business with either the county or the Metropolitan Transportation Authority. Solis is not only a member of the five- person Board of Supervisors, which has influence on projects throughout the county, but she is also on the MTA board, in charge of building and running transit lines. I’d never heard Solis, who was elected to succeed Gloria Molina last year after serving as U.S. labor secretary and a member of Congress. She had little opposition and few campaign appearances. I had a much clearer take on Sheila Kuehl, who was speaking all over the place in her intense race with Bobby Shriver. So I was curious. Solis is sharp, pleasant and has a practiced technique of smiling her way through troublesome questions without giving much of an answer. I asked her about her stand on future negotiations with the unions, which represent county workers. The county unions supported Kuehl in that election and previously enthusiastically helped elect Supervisor Mark Ridley-Thomas. That gives the unions three friendly seats on the board. Molina and then Supervisor Zev Yaroslavsky, while liberal Democrats, often tangled the unions. She said she’d approach the matter “very diligently." What’s she going to do in negotiations? Determine costs of proposals to see what the county can support. She said it would be a challenge. The only light she shed on the subject was to say she’d be “a big change from being antagonistic.” The blunt Molina was famous for not getting along with people, some of them union leaders. Solis was also cautious in discussing two projects—approval of a big hotel-apartment-retail development on Bunker Hill downtown and completion of the 710 Freeway. The freeway project would have to be environmentally sound and the Bunker Hill development would have to serve more than rich people, she said. She is chair of the Grand Avenue Authority, the city- county body overseeing Bunker Hill development. A laborers’ union executive was at the head table and his members build freeways, office buildings, hotels and much more. So Solis made it clear that her comments on the projects doesn’t mean she’s hostile to construction. She talked positively about the MTA transit projects underway, words pleasing to the union leaders and transportation engineers and lobbyists in the room. They came to lunch for that kind of reassurance. One of the biggest issues facing new County Supervisor Hilda Solis, whose district includes most of the Eastside, is how to close the 710 Freeway gap between El Sereno and Pasadena. On Wednesday, Solis, who replaced Gloria Molina as Supervisor of the First District, hinted at her preferences and concerns about the alternatives now being considered. In addition to serving as a county supervisor, Solis also sits on the board of Metro, the county transportation agency that is currently holding hearings on alternatives to close the gap or at least reduce traffic congestion and improve transportation in the area. The options now being reviewed include building freeway tunnels, high-speed bus lanes, light-rail service between East L.A. and Pasadena and street improvements, traffic signal upgrades and enhanced connections to existing bus service. One of the options is to leave things as they are. The proposal to build a pair of double-decker freeway tunnels from El Sereno, where the freeway ends, to Pasadena has proven the most controversial. While she has not rejected the tunnel option, Solis, a former U.S. Labor Secretary and Congresswoman, noted that it would be the most expensive option. But Solis, who is regarded as a strong ally of labor, said that other large transportation projects across the county would also create jobs if the freeway tunnels were not built. Solis called for more public hearings after many residents and business owners in East Los Angeles raised concern that an elevated light rail line would be too disruptive in a community that has been sliced by several freeways. Many have noted that businesses along Third Street struggled and some failed when the Gold Line was constructed through the area. Metro and Caltrans are holding public meetings and accepting public comments on a draft environmental report about the 710 Freeway alternatives being considered. If you have any questions, please contact Supervisor Solis’s ELA office: 323-881-4601. This event is free and open to the public. Will the Fight Over the 710 Gap in LA be the Death of Freeways? PLANNING LA-When residents of South Pasadena, California, hear “mind the gap,” they think of anything but the Jubilee, Hammersmith or Piccadilly. For them, the gap in question refers not to a subway but to a freeway — or lack thereof. 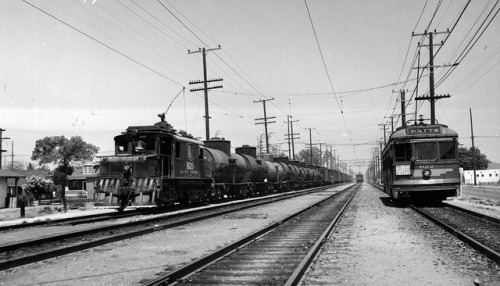 The 710 runs 23 miles north-south through the heart of the Los Angeles Basin, roughly paralleling the path of the Los Angeles River, from the port city of Long Beach to the inner suburb of Alhambra. There, the freeway abruptly stops, just past its interchange with the 10 Freeway, as if swallowed by a tar pit. Four-and-a-half miles to the north, the 210 freeway runs perpendicular to the 710’s logical route, and heads eastward to connect Los Angeles County to the Inland Empire. A plan is now afoot to close the gap. 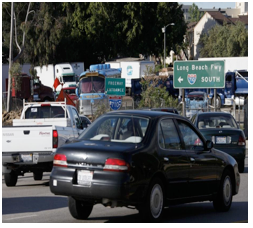 In March, the California Department of Transportation (Caltrans), in cooperation with the Los Angeles County Metropolitan Transportation Authority (Metro), released an environmental impact report detailing alternatives for closing the gap. After years of bickering and speculation, the EIR was mandated by 2008’s Measure R, a successful ballot measure that earmarked $780 million for the 710 corridor. Of the report’s five options — from a legally required “no-build” alternative to a light-rail line to a busway — the one that has arguably received the most popular support involves a freeway-sized tunnel running uninterrupted for 4.9 miles under South Pasadena at depths of over 100 feet. The largest version of the tunnel would feature two tubes, each with two levels of roadway. It would, supporters say, mark the end of the freeway-building era. “It’s the last freeway probably in California,” says Hasan Ikhrata, executive director of the Southern California Association of Governments, the Los Angeles region’s metropolitan planning organization. Supporters of the tunnel say that heroics may be necessary because “when you have a gap in the system, it does impact the rest of the freeway system,” Ikhrata says. SCAG does not have an official position on the alternatives. Transportation planners, civic leaders and, especially, cargo carriers in the Los Angeles region have long bemoaned the gap. Freeway traffic either spills out onto surface streets in Alhambra, or it crams onto other freeways, gumming up untold miles of the freeway grid and affecting, by some estimates, 200,000 drivers per day. It has persisted for the same reason that it arose in the first place: In a precursor to the rampant anti-freeway activism of the late 1960s and 1970s, the residents of upscale South Pasadena simply would not allow a freeway to disrupt, bisect and partially destroy their neighborhood. Whereas may low-income neighborhoods across the country raised the same concerns to no avail, South Pasadena’s affluence — it consists largely of stately single-family homes and has a median household income of $84,000 — enabled it to prevail. Most of the trucks that travel the 710 are not stopping in South Pasadena, unless to deliver a piano or something. 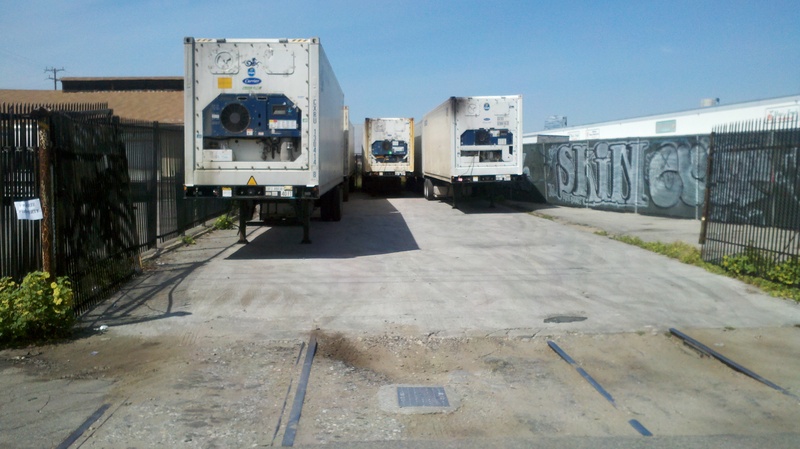 What leaders in the area’s goods-movement industry would like, however, is for trucks to be able to travel smoothly through South Pasadena. The 710 is one of the two major freeways for the roughly 50,000 daily truck trips that begin or end at the ports of Los Angeles and Long Beach. 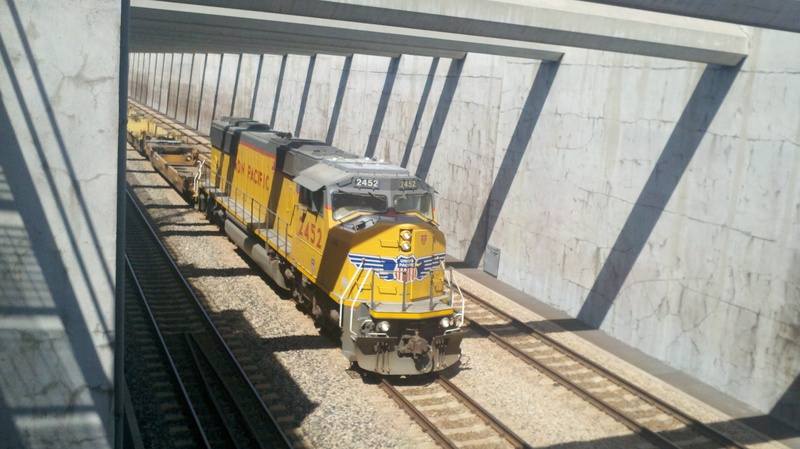 The tunnel would give trucks a more direct route to the vast transshipment warehouses of the Inland Empire. The dual-tunnel version of the project would, according to the EIR, have the greatest impacts on travel times. It would reduce daily rush hour traffic by 7,000 vehicle hours, or 2.5 percent less than current levels in the 710 corridor. These potential benefits, say supporters, justify the expense of an estimated $5.6 billion tunnel. It is expected that some of the expense would be covered by tolls. But, while the tunnel would prevent the destruction of houses and other disruptions on the surface, civic leaders in and around South Pasadena remain firmly opposed. They say that a tunnel presents a whole new set of hazards, financial and otherwise. Glendale City Council Member Ara Najarian, who also sits on Metro’s 14-member board, says he fears the true cost of a tunnel could be more like $14 billion. And he said that the tunnel’s impact on surface street traffic would be negligible. South Pasadena Mayor Marina Khubesrian is the co-founder of the 5 Cities Alliance, which opposes the tunnel (that alliance is countered by the 710 Coalition, a group of surrounding cities that feel pinched by the gap). 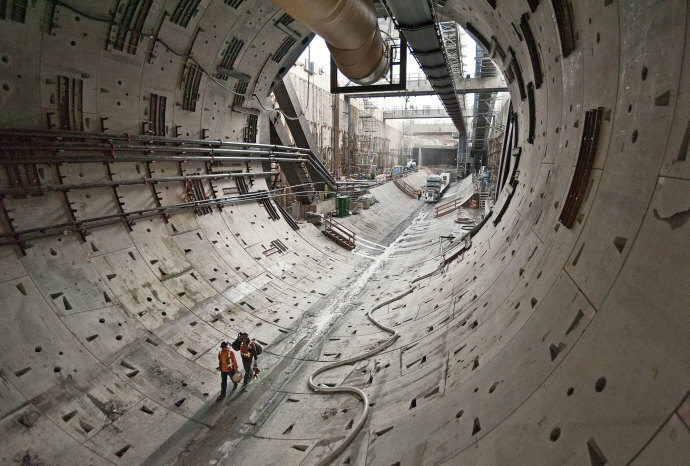 Khubesrian and other tunnel opponents have invoked such costly debacles as Boston’s Big Dig, which went over $10 billion over-budget, and Seattle’s Alaskan Way Viaduct tunnel, which grappled with a halted boring machine. Earlier this month, Pasadena City Council voted to oppose the tunnel and expressed support for a multimodal, public-transit-oriented plan. Opponents taking the regional view are also encouraging Metro, which has ultimate say over the project, to consider the mass-transit alternatives and to encourage the completion of the Alameda Corridor East — an extension of a successful below-grade rail line from the ports — to handle cargo. Either way, even supporters of the tunnel insist that they are not trying to pull the region back to the 1950s. No other new freeways are planned in the region, and both SCAG and Metro have encouraged the development of mass transit. But, even with the advent of light rail and subway tubes in the word’s freeway capital, they are still minding one tiny little gap.